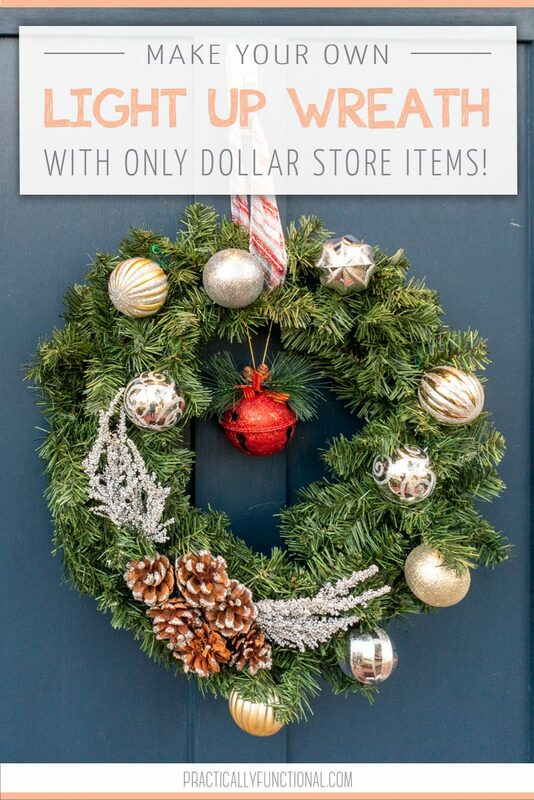 Home > Seasonal & Holiday > Christmas > DIY Battery Operated Light Up Wreath With Dollar Store Items! 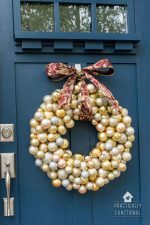 Love pre-lit wreaths, but don’t want to spend a ton of money? 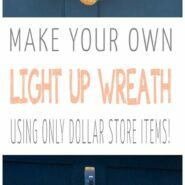 Make your own battery-operated light up wreath using only dollar store items! 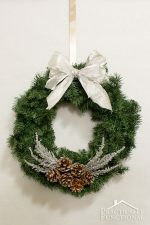 I just love those pre-lit holiday wreaths you see in stores; they are GORGEOUS! But they can be pretty expensive. This year I decided to make my own light up holiday wreath, and I was able to do it using only stuff I found at the dollar store. Now I have my own gorgeous light up wreath that cost less than $8 to make! And the best part is, I found a string of battery operated LED lights at the dollar store to use for the wreath! Now the wreath can hang on my door and there’s no weird plugs or cords or anything, and I can easily switch off the lights by turning off the switch on the battery pack. 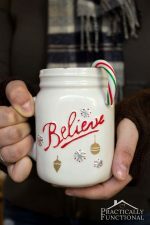 If you love dollar store crafts, check out this DIY ornament wreath you can make with dollar store ornaments! 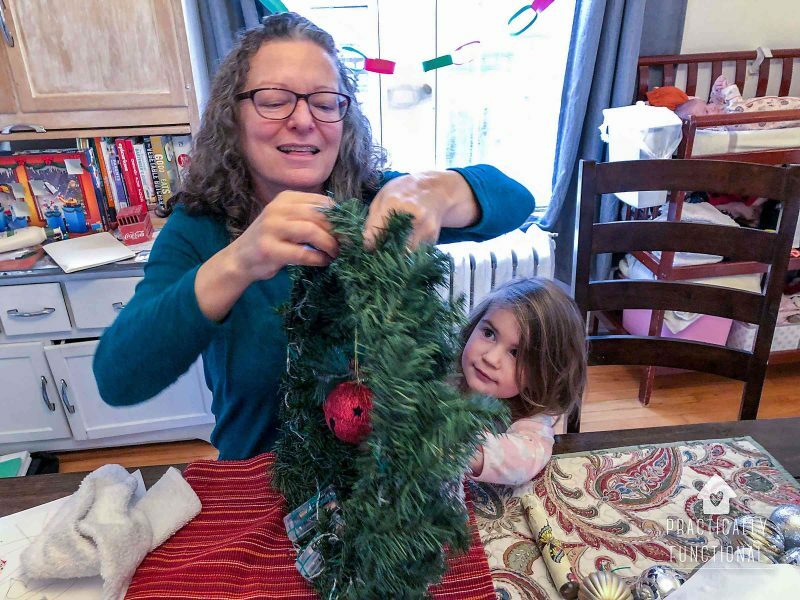 NOTE: The wreath and ornaments are usually only available around the holidays, so they’re not available online. But you can find them in stores starting around November! 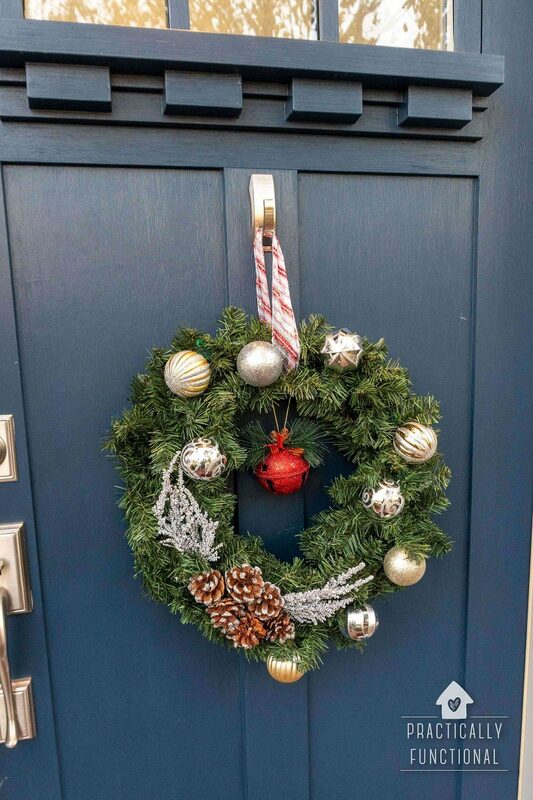 Attach your decor items and ornaments to your wreath form using floral wire. 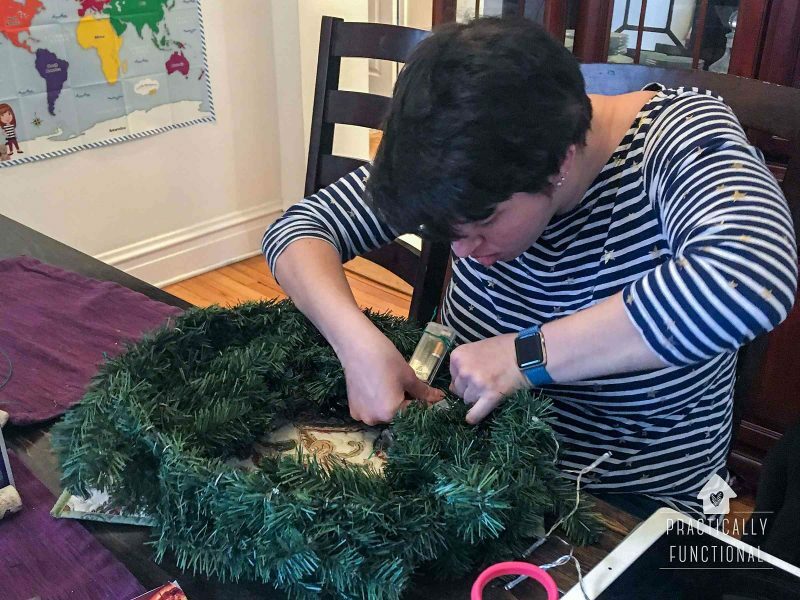 You want to attach all of the big stuff to the wreath before you add the lights so the decor doesn’t end up hiding any of the lights. 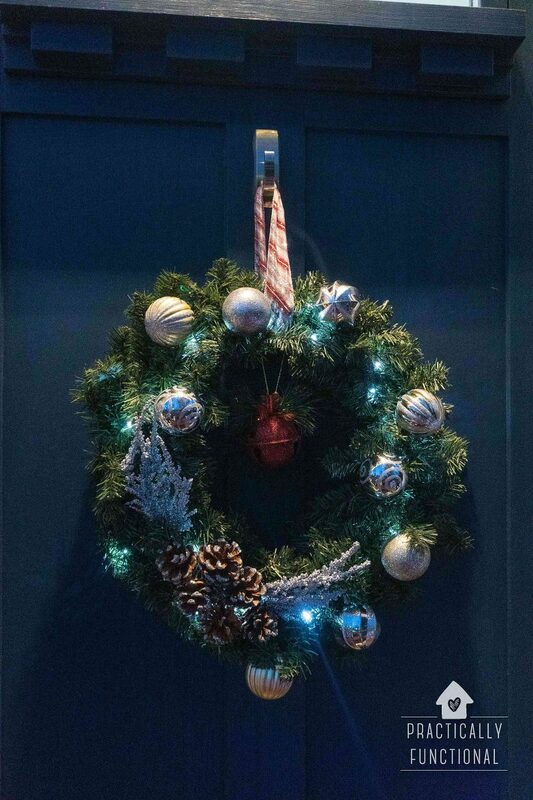 Once the wreath is decorated, attach the string lights using floral wire. 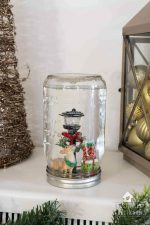 I like to put a small twist of floral wire next to each individual light to hold it in place; that way I can make sure the lights don’t move and that they’re strategically placed throughout the whole wreath. 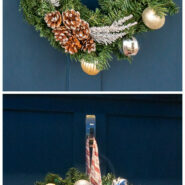 Use floral wire to attach the battery packs at the end of the string lights to the back of the wreath. Make sure the on/off switch is easily accessible! 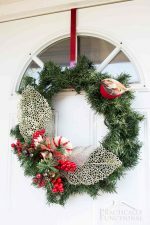 Tie some ribbon around the wreath form, and hang it on your front door! When it gets dark, turn on the lights and enjoy!